David Ralston is a blues guitarist and vocalist who has traveled the highways and byways of America for over a decade. His eighth studio album, I Don’t Care, was released several months ago and finds him continuing to explore a blues/rock fusion sound. Maybe it was his stint as a substance abuse counselor for the Marine Corps, but his music and lyrics have a toughness to them. He may not be a bad man, but his style is in your face and you can take it or leave it. He has put together a fine band to support his slide, acoustic, and electric guitar playing. Drummer Mark Texiera, keyboardist Bruce Bears, bassist Jesse Williams, and guitarist/vocalist/keyboardist/producer Thom Hiller lay down a foundation, which allows him to improvise. His sound is very hard-edged blues, which comes close to straight rock every once in a while. The title introduces the theme of the album and the lyrics explore this not caring attiude. The keyboards provide the filler, which allows him to use them as a jumping off place. As with many good blues guitarists, he is able to make each note distinctive. The lyrics are honest and soul-bearing, which are the key to any blues album. He has a fine voice to present the thoughts and stories and it meshes well with the overall direction of his music. David Ralston is eight albums into his career and continues to evolve. I Don’t Care is a fine blues album that deserves a listen or two. Article first published as Music Review: David Ralston – I Don’t Care on Blogcritics. Melissa Crabtree is a wilderness guide who moonlights as a singer – or possibly the other way around. It really does not matter which comes first, as she has managed to integrate her passion for both into one career. Her songs travel the pathways of the natural world around her, as her time spent in the wilderness provides the observations which influence her lyrics. She is a songwriter who is able to paint pictures with her words and then set them to simple melodies. It comes down as folk/Americana music that at times reminds me of the late Kate Wolf and Iris DeMent. She has now returned with her third album, The Day I Fell in the Water. Crabtree has surrounded herself with a number of able musicians to support her vocals/acoustic guitar playing. The core of her supporting cast is multi-instrumentalist/producer Mark Hallman and keyboardist/backing vocalist Julie Wolf, who are joined by a rotating group of eclectic musicians who fill in the sound with fiddles, pedal steel guitars, accordions, and mandolins. As with many folk artists, a number of songs carry messages of the singer’s philosophy of life. “Bees,” which makes use of Dayan Kai’s mandolin work to create the imagery of the lyrics, looks at the issue of wildlife conservation. “Message from a Soldier” is a gentle song of peace and is not so much confrontational as it makes you sigh. Songs such as the title song and “Water Canyon” are love songs that are more about personal growth than culminating in a relationship. “Spirit of the Mountain” and “Daisies Talk” allow her to explore her love of the outdoors. Crabtree’s husky voice is a perfect vehicle to present her stories. She is also able to write simple melodies and then add in various instruments that make the finished product entertaining and thought-provoking. Melissa Crabtree continues to bring her love of nature to her music. If you want to try some folk music with a different focus, then The Day I Fell in the Water may be an album for you. Article first published as Music Review: Melissa Crabtree – The Day I Fell in the Water on Blogcritics. “A-wop-bop-a-lu-bop-a-wop-bam-boom!” The year was 1955, the song was “Tutti Frutti,” and the artist was Little Richard. Parents of teenage daughters may have been uneasy with Elvis Presley, but Little Richard made them fearful for their sons as well. Little Richard was different in looks, style, and the way he played rock ‘n’ roll. He was schooled in rhythm & blues, but by way of a thumping piano and frenetic vocals moved his sound over to straight rock. As such, he became on of the seminal figures and a founding father of the rock idiom; any history about the development of 1950’s rock ‘n’ roll must pass through Little Richard. This collection covers all of the important music from his early career. 24 of the twenty-five tracks are from 1955-1957, with one live track from 1964. The sound is crystal-clear and the accompanying booklet is excellent also. The songs blast out of the speakers in two-minute bursts of energy, and listening to an hour’s worth of his material is both exhilarating and exhausting. His sound is a constant assault on the senses, from “Tutti Fruitti,” “Long Tall Sally,” “Good Golly, Miss Molly,” “Slippin’ And “Slidin,’” and “Rip It Up, these memorable tracks set the tone for what is to follow, and all this in about twelve minutes. Plus, all these songs were issued in succession within a decade, from 1955-1965. Little Richard would never move beyond his ‘50s sound. 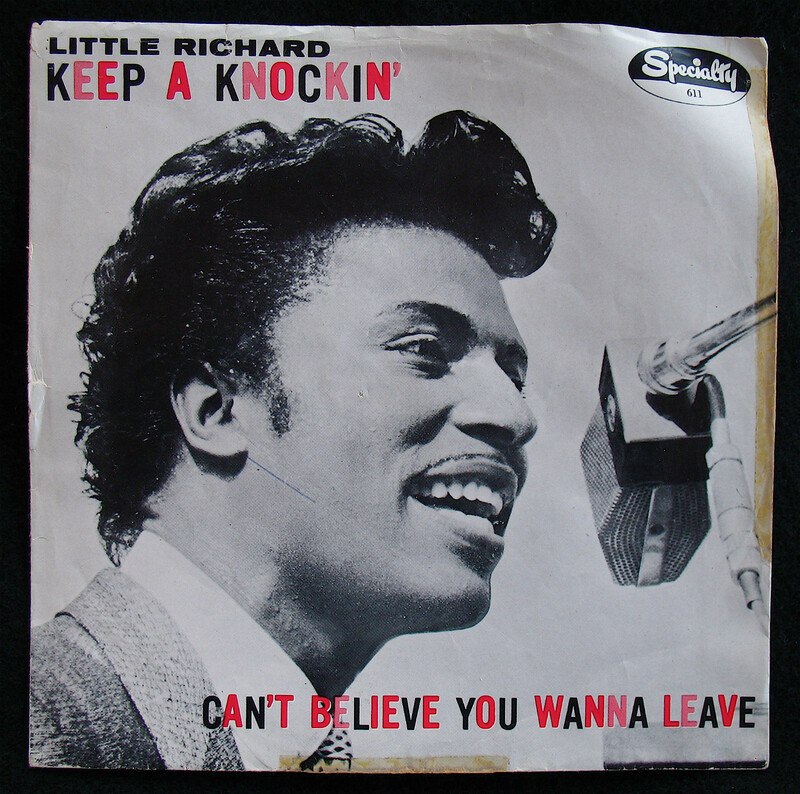 While some artists were able to change with the times and still others would fade from the scene entirely, Little Richard would continue to present the songs contained on this album for the next fifty years. He was an American musical original and there was truly no changing him. Little Richard’s music has been presented in many forms over the years, but The Very Best Of Little Richard moves to the head of the class among the numerous releases. This disc accumulates all his important music into one place, providing an essential listening experience for any aficionado of American rock ‘n’ roll. During the 1950s many adults were uncomfortable with rock and roll. No one made them more uncomfortable than Little Richard. His look, demeanor, race, and stage act were the stuff of nightmares for parents concerned about their sons and daughters. He was a star during the second half of the 1950s placing 15 singles on the BILLBOARD MAGAZINE Pop Singles Chart. Just about all were up-tempo rock ‘n’ roll attacks. “Keep A Knockin” first appeared in the film MISTER ROCK ‘N’ROLL. Released as a single during September of 1957, it reached number eight on the BILLBOARD Pop Singles Chart and number two on the Rhythm & Blues chart. It was one of the most frenetic performances of his career. Little Richad created a sound that was one of the foundations of rock and roll. He fused gospel, rhythm & blues, and his pusating piano rhythms into what would become known as rock and roll. Little Richard was honored as one of the first inductees into THE ROCK AND ROLL HALL OF FAME in 1986. Georgia Gibbs, 1919-2006, began her career on the big band circuit and was a regular on radio before signing a solo contract in 1948. Her vocal style always had a jazzy side to it but during the mid-1950s she began covering some of the rhythm & blues hits of the day. During early 1955 her version of LaVern Baker’s “Tweedle Dee” reached number two on the BILLBOARD MAGAZINE Most Played By Disc Jockey’s Chart. She returned several months later with a cover of Etta James’ number one rhythm & blues hit, “The Wallflower,” which she renamed “Dance With Me Henry.” While I prefer James’ version, it proved to be a wise choice as it spent three weeks on top of the BILLBOARD Most Played In Jukeboxes Chart beginning May 14, 1955. 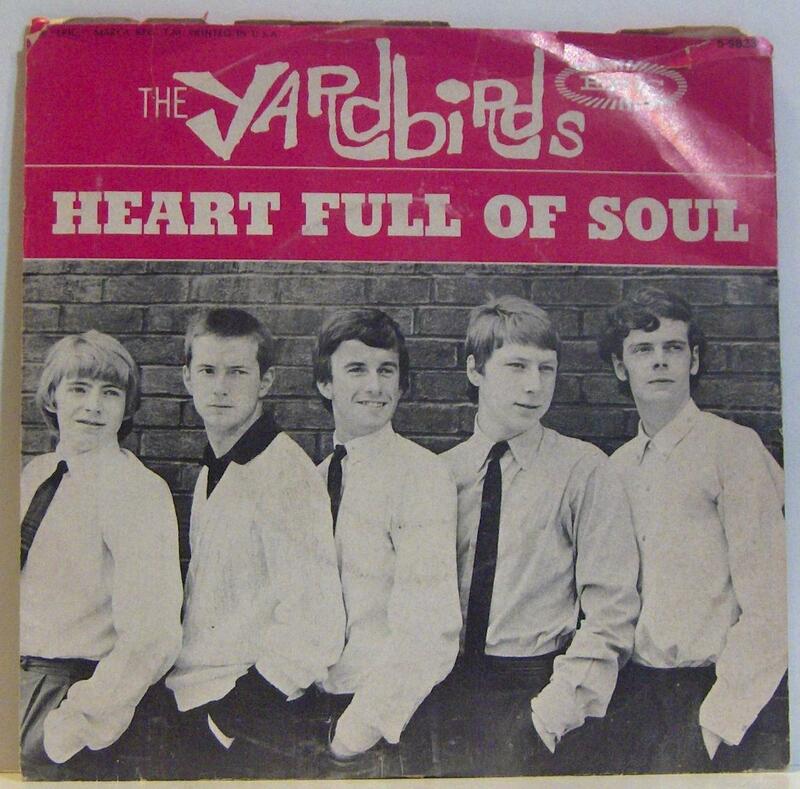 The Yardbirds had their break through hit during mid-1966 with “For Your Love.” Their happiness was short lived when guitarist Eric Clapton decided their sound had become to popish and left the band. How do you replace one of the greatest guitarists of all time? The answer is simple; you hire another of the greatest guitarists of all time. Jeff Beck stepped in as the lead guitarist for “Heart Full Of Soul.” His use of a guitar fuzz box to distort his sound was unique at the time. “Heart Full Of Soul” reached number nine on the BILLBOARD MAGAZINE Pop Singles Chart in the United States and number two in England. Beck would eventually leave the band as well but things would continue to work out just fine as Jimmy Page was on the horizon. The Rolling Stones had formed as a raw rhythm & blues/rock band. Their first United States chart single. “Not Fade Away,” reached number 48 on the BILLBOARD MAGAZINE Pop Singles Chart during the early summer of 1964. Their follow-up single in the USA, “Tell Me (You’re Coming Back)’ peaked at number 24 during the summer of 1964. It was the first Jagger/Richards composition to be released as the A side of a single. It was still a fairly raw sound but contained elements of their rock sound for which they would become famous. It was also a very early ballad and more would follow as the years passed. 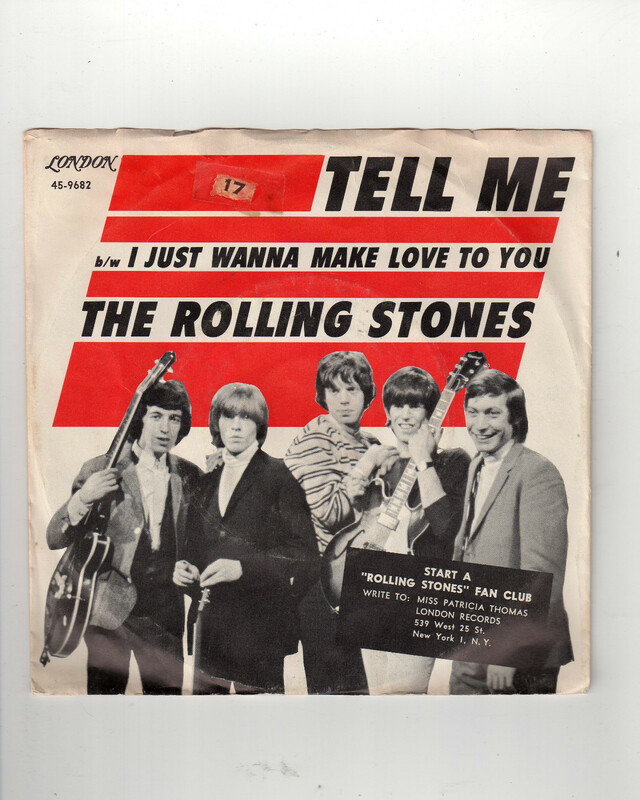 Today it remains notable as the first Stones single to crack the top 40 in the United States. You are currently browsing the Muskmellon's Blog blog archives for October, 2012.